Convertible securities are fixed income securities that allow holders to convert the securities into a specified number of shares of the issuing company's common stock. The two major types of convertible securities are convertible bonds and convertible preferred stocks. Why does a company issue a convertible stock? It gives them the opportunity to borrow money at a much lower interest rate. Why? Because they're giving the bondholders the opportunity to benefit should the stock price go up. Investors are willing to pay for some of that upside in return for lower interest rates. Conversion Privilege: the defined state of the conversion feature on convertible securities Conversion Period: the period during which a convertible issue can be converted Conversion Ratio: the number of shares of stock into which a convertible issue will get converted Conversion Price: the stated price per share at which common stock will be delivered to the investor in exchange for a convertible issue. What we're interested in is some of the sources of value associated with convertibles. The value of the convertible is based both on the value of the stock and the value of the bond because it's both a stock and a bond to some degree. When the market price of the stock is close to the conversion price, you would expect the convertible bond to trade much like a common stock because people are likely to convert. On the other hand, if the convertible has a market price that is well below the conversion price, it's not likely that it's going to be converted. In this case, it's going to act much more like a bond. One of the reasons that people buy convertible securities is that the bond price sets a floor for the value of the bond. If the stock goes belly up, the buyer still has the value of the bond. There's a lot of limitations on the downside, but there is a lot of upsides should the stock price go up. Conversion Value: the signal of what convertible issue will trade for if it was to sell at its current stock value. > Conversion value = Conversion ratio x the Current market price of the stock. > For example, if the Bond has a conversion ratio of 25 and the stock price is $70, the conversion value = 25 x $70 = $1,750. Conversion Equivalent: sometimes, people measure the conversion equivalent, which is a cost that the stock must sell at to make the security worthwhile. This is just scratching the surface of convertible securities. 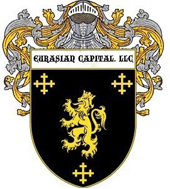 To learn more, contact Eurasian Capital, LLC.